Chen Ronggang is a freelance writer with a master’s degree in gender and cultural studies. In October, McDonald’s announced that it was changing the registered company name in China from Maidanglao — a rough phonetic rendering of its English name — to Jingongmen, or “Golden Arches.” The new name, which is meant to evoke the company’s famous logo, was the source of much mirth online, with some netizens deriding it as tu, a word that literally means “soil or ground” but also pejoratively refers to anything overly earthy, coarse, and unsophisticated. The rebranding comes after the August sale of McDonald’s operations in mainland China and Hong Kong to a consortium led by the Beijing-based conglomerate CITIC Group and the American multinational Carlyle Group. 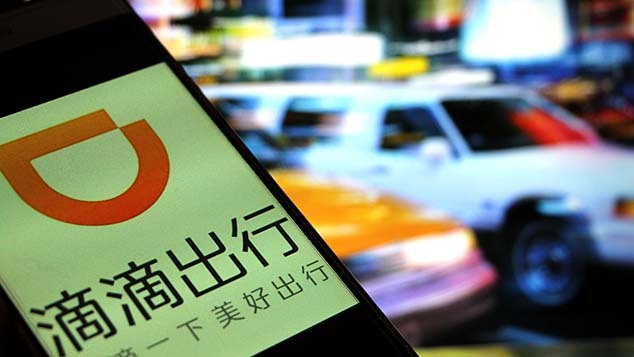 According to reports, CITIC will hold a controlling 52 percent stake in the new venture, 28 percent of the remaining shares will be held by Carlyle, and McDonald’s will retain the final 20 percent. In China, the otherwise mundane commercial transaction has taken on the appearance of a major cultural event, as McDonald’s customers have commented on the chain’s significance to their lives. To understand this phenomenon, we must first look at the curious history of McDonald’s and other Western fast-food chains in China. The first McDonald’s franchise in mainland China was opened in 1990, in the city of Shenzhen in southern China’s Guangdong province. The brand’s heyday came during its first decade in the country, when long lines of customers would greet the official opening of every new McDonald’s branch in a major Chinese city. The brand became a byword for Chinese urban development: As the fast food chain expanded into smaller third- and fourth-tier cities, locals came to associate its arrival with the prestige of belonging to a developed, globalized community. It’s difficult to capture the giddy optimism that ran through Chinese cities in the mid-’90s. Before then, professionalized mass production techniques, uniform allocation of raw materials, and standardized processing were all notions found solely in the country’s industrial sector. But Western fast food chains like McDonald’s and KFC brought these practices to China’s catering industry, serving up exotic food that was miles better than traditional state-run or privately owned roadside restaurants. Today, the word “McDonaldization” is often used to criticize the homogeneity of brand-saturated cities. But back in those halcyon days, the Chinese loved McDonald’s for its safe food, tidy environment, and specialized service. Today, the word ‘McDonaldization’ is often used to criticize the homogeneity of brand-saturated cities. But back in the ’90s, the Chinese loved McDonald’s for its safe food, tidy environment, and specialized service. In 1987, when KFC opened its first restaurant on the Chinese mainland, the average Beijing resident earned about 125 yuan (then around $30) per month. At the time, KFC charged 13 yuan for a burger and 8 yuan for a piece of fried chicken. In other words, a meal at KFC cost the average Beijing resident one-tenth of their monthly salary. If you could afford to take the family to KFC, therefore, you were doing rather well for yourself financially. At the same time, Chinese consumers were largely unfamiliar with Western cuisine and culture. Fast food quickly became the only kind of Western food that most Chinese knew about, and going out for a Big Mac or a fried chicken dinner was a way of treating themselves to quality- and choice-oriented Western consumerism. McDonald’s and KFC are etched into the memories of China’s urban ’80s kids as places they went only when their parents rewarded them for doing well in school. Some newlyweds even held their wedding receptions at American fast-food restaurants. Given its privileged status as an indicator of China’s economic and social development, Western fast food was initially identified as the polar opposite of anything tu. In the ’80s and ’90s, McDonald’s, KFC, and Pizza Hut were the height of sophistication, conjuring images of progress and positive change. Over the course of the 1990s, Chinese consumers’ wholehearted embrace of modernization led them to actively seek out McDonald’s. It didn’t even matter that they didn’t quite get used to the taste, such as the strong flavor of processed cheese. Yet in the long term, fast-food chains needed to seek other ways to become a part of Chinese daily life. Yan Yunxiang, co-author of “Golden Arches East: McDonald’s in East Asia,” writes that there were five aspects to McDonald’s localization strategy in 1990s Beijing. The first was active community engagement, for example, by keeping the street in front of the restaurant clean and gifting school supplies to local students. Second, consistent temperature and light music made the franchise’s restaurants places where residents could go to relax. Third, McDonald’s created a family-friendly environment by hosting events. Fourth, the company encouraged staff to build relationships with diners and cultivate loyal customers. Finally, the company set its sights on children by offering birthday parties and other services. These days, fewer and fewer Chinese people view burgers, fries, and cola as fine dining. Yan concludes that while McDonald’s emphasized speed and convenience in the U.S., its localization efforts in China emphasized comfort and quality. Indeed, the company’s competitors have also adapted their products to the Chinese market: KFC, for example, has offered wraps stuffed with Sichuan-style beef and tangy Beijing-style chicken, as well as traditional breakfast items including congee and deep-fried dough sticks. While the above localization efforts allowed Western fast-food chains to gain a foothold in China, the country’s attitudes toward their products have shifted as incomes rise and urban diners embrace greater variety. These days, fewer and fewer Chinese people view burgers, fries, and cola as fine dining. Meanwhile, wealthier, worldlier urbanites frequently focus on high-quality, healthy options, recognizing the importance of high-protein, low-fat food with plenty of fiber. In addition, the proliferation of high-end, independent restaurants means that fast-food chains no longer have a monopoly on the best place in town to get a hamburger. As a result, McDonald’s revenues in China have plateaued since 2013, losing ground to Yum China, the spinoff of Yum Brands that manages KFC’s and Pizza Hut’s China operations. The company’s woes were compounded by revelations in 2014 that a supplier had sold McDonald’s rotten meat. McDonald’s hopes to hit back by increasing its presence in smaller cities and offering home delivery at a majority of its locations. The real reason for the fading mystique of Western fast food is China’s increasing integration into the global market. McDonald’s may have changed its name to Jingongmen in order to portray itself with an earthier aesthetic, but it likely has little to do with the company’s localization strategy. Instead, the name change — and the sale that preceded it — are signals that McDonald’s hopes to further globalize its Chinese business model and bring it more in line with international practices. In the early ’90s, when McDonald’s first entered the Chinese market, the government had yet to open the country up to investment from enterprises owned exclusively by foreign capital. This forced foreign companies to find a local partner to gain access to the Chinese market. When McDonald’s first arrived in Shenzhen, the funds came from the company’s Hong Kong arm, with McDonald’s Hong Kong and McDonald’s USA each owning half of the stake. The switch to ‘Jingongmen,’ rustic though it sounds, represents a break with the past and the arrival of the company’s global strategy in the Chinese market. Later, when the company expanded into Beijing, it established a partnership with Sanyuan Foods, a Chinese company, once again splitting the shares evenly. This regulation prevented McDonald’s from implementing its much-lauded franchising model: According to the company’s website, more than 80 percent of its worldwide stores, and 90 percent of its American restaurants, are franchises. But in a partially reformed Chinese market, McDonald’s had to share the responsibility for running its locations with Chinese third parties. In 2004, China’s Ministry of Commerce finally loosened restrictions on foreign-funded enterprises in certain sectors of the economy. Soon after, McDonald’s began testing its franchise model in the Chinese mainland. 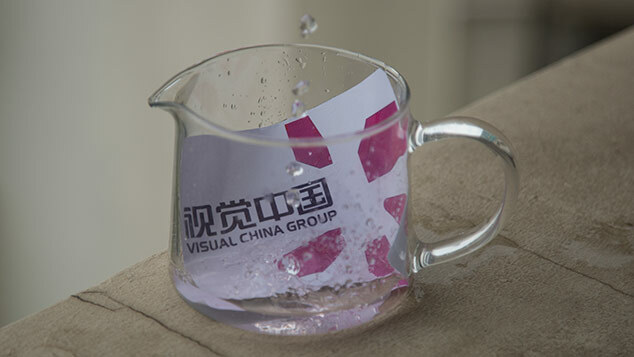 However, due to the company’s strict franchisee requirements — including having to show proof of 2 million yuan ($300,000) in liquid assets — few individual franchisees were willing to fork out the cash. 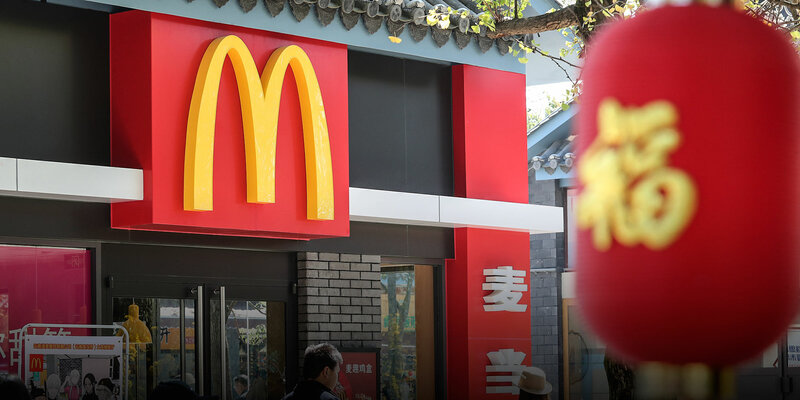 The takeover of the company’s business in China by CITIC and Carlyle mean that Chinese locations of McDonald’s finally dovetail with its global practices. McDonald’s is no longer involved in the operations of its Chinese stores; instead, CITIC now holds a controlling stake in its China operations. The switch to Jingongmen, rustic though it sounds, is not motivated by a desire to further localize McDonald’s to Chinese tastes. Rather, it represents a break with the past and the arrival of the company’s global strategy in the Chinese market, a nod to both the integration of Chinese and global capital and to the influence that Chinese and global culture have on one another. During the early reform era, Chinese people often contrasted the concept of tu with another word, yang. The latter term originally meant “ocean,” then came to describe anything foreign, and finally referred to anything tasteful, elegant, or cultured. In the ’80s and ’90s, the distinction was easy: Domestic Chinese brands were tu, and foreign imports were thrillingly yang. Today, though, these boundaries are not so clearly defined. 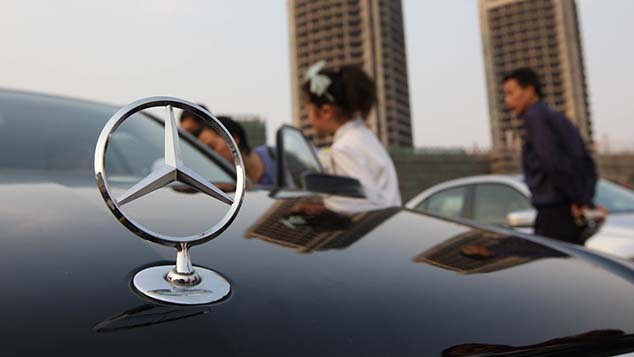 As China’s sharp-tongued netizens have proven, even iconic Western brands that played a starring role in the country’s economic miracle can suffer the ignominy of becoming too unrefined, too vulgar, too tu.